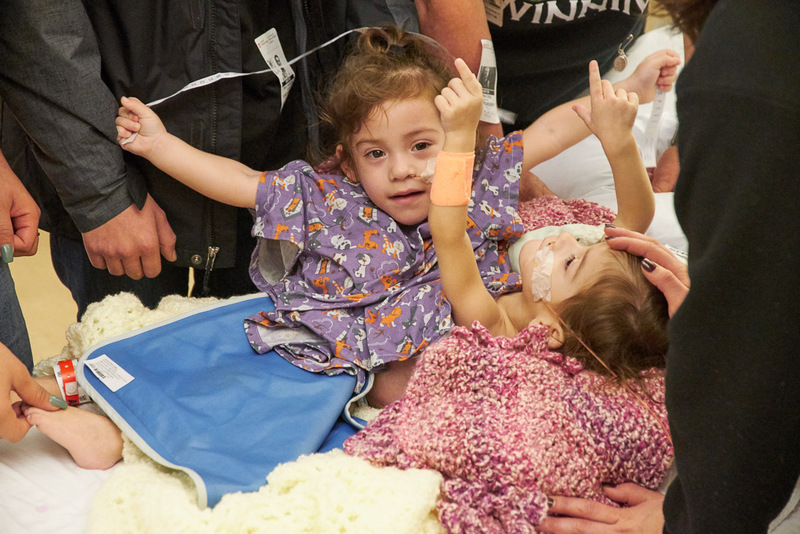 pediatric intensive care unit following their Dec. 6 separation surgery. last separation at Packard Children’s was performed in 2011.
the reconstructive phase of the twins’ separation. her high-risk pregnancy and who cared for the twins as newborns. The girls were wheeled into the operating room shortly after 7 a.m. Dec.
had been used to generate new skin to help cover their separation site. The first incision was made at 11 a.m.
child had her own gallbladder. received a colostomy. The pelvic bones were then divided. Bruzoni, MD, assistant professor of pediatric surgery, at 4:34 p.m.
been useful for walking because of its abnormal anatomy. Medicine, assisted the surgeons with the new technology. further complicated an already difficult pregnancy. contact the media relations team for details.